Three Cheers for Zippered Tote! I’ve wanted to make a red, white, and blue purse for awhile and finished this just in time for Memorial Day! 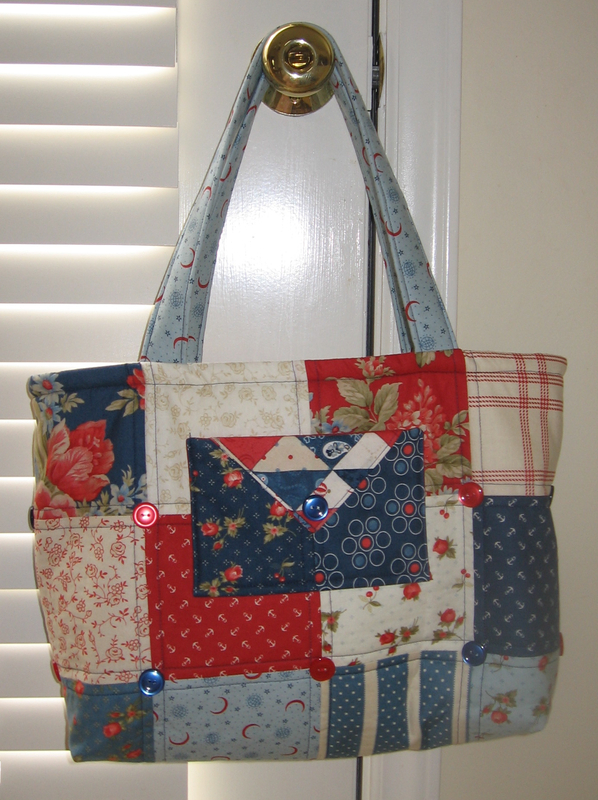 The original pattern was Charm Party Tote, a tote that was open at the top. However, I wanted this to function more as a purse, so I added a zipper. 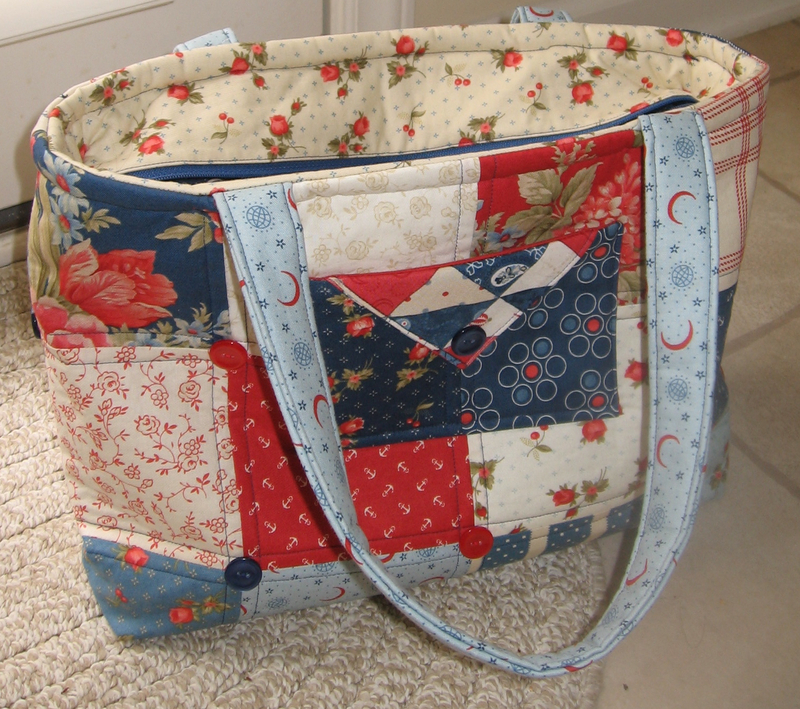 The bag has fusible fleece on the interior and exterior, and features some light quilting. I am going to experiment with using different combinations of fusible fleecing for the lining to see if I can find one that makes this less bulky. The outside uses 24 charm squares, and then I used the leftover squares to make the pockets. I’m sewing a lot for animal welfare projects ❤ . For a long time now I have been looking for an inset zipper like the one you showed. You had planned to post a description of how to make this inset. Have I missed it? I would be really, really grateful for a little hint on how to make it so I can add it to my oilcloth bags for the animal welfare auctions 🙂 . For 2016 I hope to get back to posting on more regular basis! Thanks for your reply 🙂 . I know the video and the tutorial of “sewingnovice” but they do it differently. There is this gap on the end of the zipper which I do not want. Sorry it took so long to reply back. I looked at the Japanese tutorial and it is not the same as what I did either. I will try to put something together on this in the next few weeks and get it posted. It’s pretty easy to do! I really look forward to your tutorial since I sew a lot of oilcloth bags for our animal welfare auctions. I tried the Japanese tutorial and it nearly drove me crazy 😉 . I’d be really glad to learn an easier way 🙂 .